If you know the name of Clarence Gene Shaw at all, it is probably from his work with Charles Mingus. In 1957, the Detroit-born trumpeter (under the name Clarence Shaw) recorded three albums with Mingus: “A Modern Jazz Symposium of Music and Poetry”, “East Coasting” and “Tijuana Moods”. Their association came to an abrupt end after a violent argument, which caused the trumpeter to break his horn into pieces and leave the music business. 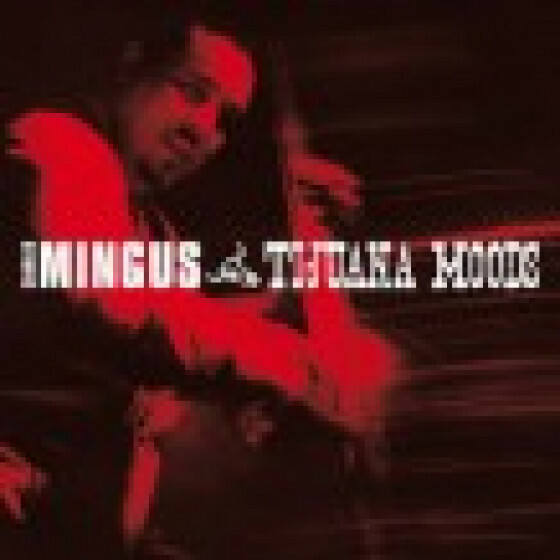 When “Tijuana Moods” was finally issued in 1962, a humbled Mingus wrote Not only does Clarence Shaw have a beautiful tone and beautiful ideas, but he is creative and original and plays like no other trumpet man…[He] probably would have become as famous as any other so-called jazz players if this record had been issued six years earlier when it was recorded. The trumpeter had moved to Chicago in 1959, and was playing again at the time the Mingus album was released. An executive from Chicago’s Argo Records heard him at a nightclub and the trumpeter (now known as Gene Shaw) signed a recording contract with the company. 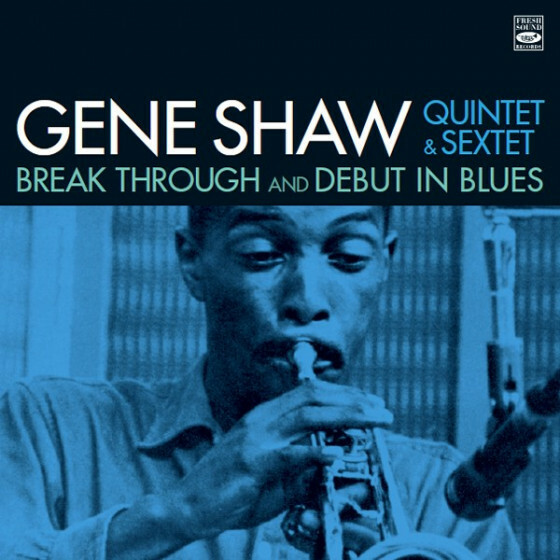 The three albums which Shaw recorded in Chicago between 1962 and 1964 feature Shaw with a select group of Chicago’s finest jazz musicians, composers and arrangers. At least two of the LPs were produced by Esmond Edwards (formerly of Prestige Records), and the albums appeared on the related labels Argo, Chess and Cadet. Shaw’s first Argo LP was “Breakthrough”. It is the only one of the three albums to feature an image of the trumpeter on its front cover (there are relatively few photos of Shaw available to the public; perhaps he didn’t like having his picture taken). It is also the only album to include his complete name (Clarence Gene Shaw) in the personnel. 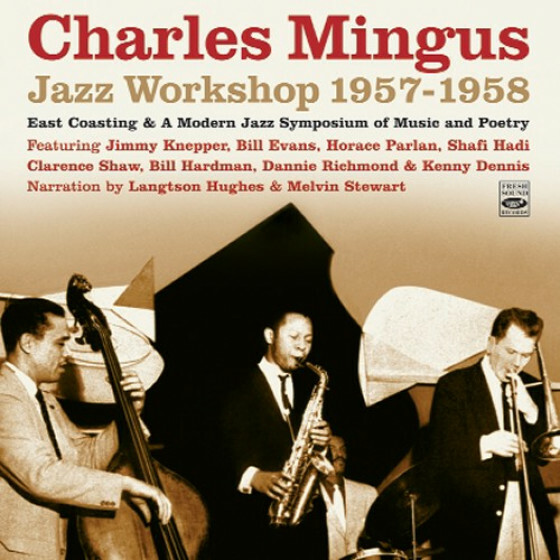 As the liner notes make specific references to Shaw’s tenure with Mingus, the personnel may have been adapted to avoid confusion. The quintet featured tenor saxophonist Sherman Morrison, then a student at the Chicago Conservatory; pianist James Taylor, who also penned the opening track “Autumn Walk”; bassist Sidney Robinson, who had become a regular part of the Chicago jazz scene in the late 50s; and drummer Bernard Martin, for whom this date was his only jazz recording. Taylor, Robinson and Martin set up an unshakeable medium groove for “Autumn Walk” while Shaw plays the melody against Morrison’s tenor tremolos. Shaw’s full, burnished tone is much the same as it was when he played with Mingus, and he tempers his deep melodic feel with short, thoughtful phrases. Morrison has the hard-edged sound associated with John Coltrane, but his solo style is quite melodic—probably the reason Shaw hired him. Taylor plays a lovely solo in chords before Shaw and Morrison return to the melody. 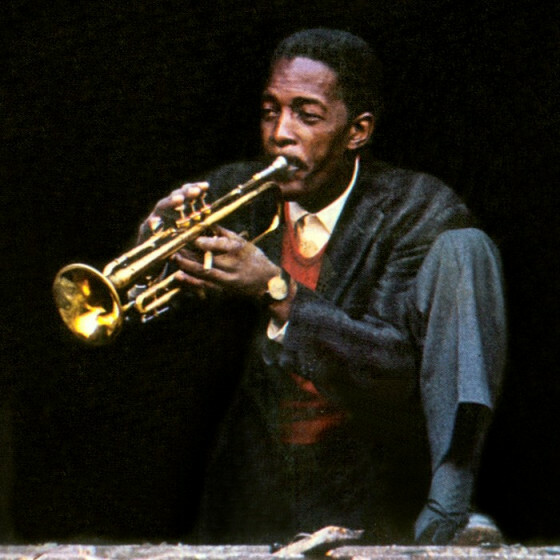 “AD’s Blues” is the first of Shaw’s originals, and while it echoes the sassiness of Lee Morgan’s compositions, it retains its own distinctive personality. Shaw’s solo shows his appreciation and assimilation of another great trumpeter, Clark Terry. “Marj” is Shaw’s dedication to his wife. Over a samba beat, it combines a warm opening melody and a jagged trumpet improvisation. Shaw plays more notes in this solo than any other on the album, and the varying lengths and shapes of his phrases are quite stunning. “Six Bits” is a jazz waltz written by Carl Davis (“Six Bits”= three quarters; cute pun). However, the joyous tune and solos contradict the liner notes’ assertion that the song is about a man down to his last 75 cents. Shaw’s “The Thing” starts with a slow intro, but abruptly moves into a fast and menacing theme. Shaw places his pithy ideas in between Taylor’s jabbing chords. The tension is quite exhilarating throughout the track, even when Taylor breaks up the time late in his solo. The lone standard is “Tonight”, which borrows Miles Davis’ tag from “Dear Old Stockholm” as an intro, then settles into a delightful medium walk. 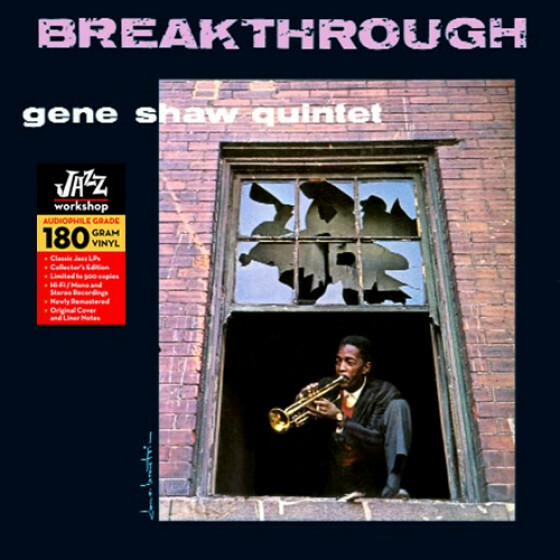 Shaw barely touches on the Bernstein melody before commencing his own variations, and plays several delightful smears in the break following his opening chorus. “Our Tune” was composed by the then-unknown Jack DeJohnette, and it may have been the first of his pieces to be recorded. Slightly reminiscent of the out chorus of Benny Golson’s “Along Came Betty”, it has a fine set of changes for blowing, and is enclosed in a simple but effective arrangement. It offers a further example of this rhythm section’s cohesion and groove in medium tempi. “It’s A Long Way” is another waltz by Carl Davis. Shaw’s solo is a beauty, painting his musical canvas with broad, slashing brushstrokes that challenge our preconceptions about improvised melodies. 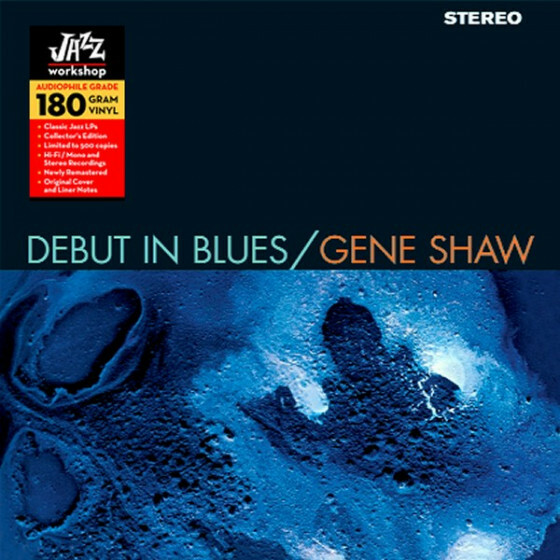 Ironically, Shaw’s second album was titled “Debut in Blues”. It features a sextet including tenor saxophonist Jay Peters (who was actually making his first recording! ), trombonist Herb Wise, drummer Jerold Donovan (later a member of AACM and known as "Ajaramu") and the piano/bass team from the first album, Taylor and Robinson. While “Breakthrough” seemed determined to steer away from established jazz formulas, “Debut in Blues” sounds eager to recycle existing ideas. The title track is a second cousin to “The Blues March”. Shaw’s sound is still glorious, but his ideas seem more tied to 4-bar phrases. Peters plays with considerable fire, but he is less impressive than Morrison, and Wise seems better as an additional color in the ensembles than as a compelling soloist. Thankfully the next tune, Taylor’s evocative “Karachi” raises the standard. Shaw’s solo is one of his best on record, with arresting melodic shapes, unusual phrase lengths and powerful emotional content. Peters nearly ruins the mood with a repeated quote from the “1812 Overture”, but Wise displays a better sense of the piece’s atmosphere. Shaw’s only composition for this album is the smoothly swinging bossa nova, “The Gentle Princess”. Shaw lays long angular phrases against the clave beat in his solo. Oddly, that solo is significantly shorter than those of his sidemen. “When Sunny Gets Blue” is Shaw’s ballad feature, and while he plays more of the melody than on “Tonight”, he is still very selective about how much of the original tune is included. Taylor’s “Thieves Carnival” is uncomfortably close to high-energy surf rock. It’s interesting to hear Shaw work against the groove in his solo, but overall the track seems to expel a lot of power for little effect. Tom Washington’s “Not Too Cool” is reminiscent of the DeJohnette “Our Tune” from the first album. Shaw’s solo is uninspired and lacks direction, but Peters, Wise and Taylor all shine here. “Who Knows” by Renick Ross has a driving melody set in quick waltz time. Peters and Wise adopt the energy of the tempo, but Shaw takes a different approach, again engaging Taylor in a musical conversation. The album closes with Robinson’s “Travelog” which features a searing trumpet melody over a rolling 12/8 rhythm. Shaw plays the melody with such passion that he finds little to add when his own solo turn comes around. He does improvise a particularly beautiful phrase over the band vamp as the track fades out. Esmond Edwards commissioned Richard Evans to compose nearly all of the music for Shaw’s final Argo release, “Carnival Sketches”. The title composition was a suite of five pieces that filled the first side, and the movements were played back-to-back without pause. Although some critics have called this 1964 album commercial, it seems to be much more authentic in feel and spirit than other samba-inspired albums from this period. Shaw’s open sound is especially fine on “The Big Sunrise”, and his tone blends surprisingly well with Charles Stepney’s vibes and Roland Faulkner’s guitar. Evans is the bassist on the album and his strong rhythmic impetus leads the group into “Goin’ Downtown”. This movement is primarily a set of chords for improvising, and it allows Shaw, Stepney and Evans to stretch out. Shaw never loses his iconoclastic style, even when playing over a Latin background, and I suspect that several of Chicago’s avant-garde trumpeters were listening and studying Shaw’s solos from this period. When the melody to “Goin’ Downtown” finally appears at the end of the track, Shaw holds and crescendos the final note through the downbeat of the next movement, “Cha Bossa”. Here, Shaw’s improvised lines seem to tumble over themselves and he is clearly demonstrating an alternative approach to the static rhythm pattern. Drummer Marshall Thompson and percussionist Benny Cook develop some exciting cross-rhythms on the penultimate movement, “Street Dance”, and it sounds like they may have listened to recordings of the Rio samba schools. Shaw plays with great fire over the percussion ensemble, and as his solo develops, he includes several half-valve effects and deliberately plays off-mike, utilizing the natural sound of the studio. The final movement “Goin’ Back Home” unfortunately shares the same opening interval as “Days of Wine and Roses” which appears on the flip side of the album. Despite the melodic similarity, the piece is an amiable if otherwise undistinguished track. The second side features flautist Kenny Soderblom, pianist Eddie Higgins, Evans, Thompson and percussionist Vernel Fournier. The side’s opening track, “Ain’t That Soul” has a powerful, growling solo by Shaw, and great surging energy from the rhythm section. Like “Ain’t That Soul”, “Soulero” borrows rhythmic motives from Ahmad Jamal (Evans and Fournier were both members of Jamal's trio). On “Soulero”, the rhythm jumps from a snare drum-driven bolero to a figure from Jamal’s arrangement of “Poinciana”. The change of style enlivens the track and Shaw turns in another inspired solo. “Days of Wine and Roses” follows the same pattern as Shaw’s ballads on the earlier albums, and the album’s closer is “Samba Nova”, which despite its title is actually based on an old melody, the theme to “I Love Lucy”. Shaw leaves the opening and closing melodies to Soderblom, and plays a rather dispirited solo. It’s too bad that this final track on Shaw’s last album shows so little of his talent. In 1963, Shaw’s quintet appeared at Chicago’s Sutherland Lounge in a concert commemorating the eighth anniversary of Charlie Parker’s death. Pete Welding reviewed the concert for Downbeat and praised Shaw for his “air of quiet, resolute intensity”. Around this time, Shaw was building his own nightclub and school called the “Olde East Inn”. Presumably, this would have been a home base for Shaw’s quintet, but by the time he recorded “Carnival Sketches”, Downbeat reported that Shaw was no longer the musical director of the club. When Shaw’s Argo contract ran out in 1964, he considered leaving music again to become a carpenter. However, pianist Joel Futterman recalled meeting Shaw in 1965, and after helping Shaw fix the floorboards in his house, he was invited to play gigs with Shaw’s group. There was another Downbeat concert review in 1968, this time with Shaw and organist Bobby Pierce. Shaw moved to South America for a short time, but finally moved to Santa Monica, California, where he authored a book, “Jazz: The Artless Art”. When I first researched Shaw’s life in 2004, there was very little information available online or in periodicals. I couldn’t even determine if Shaw was still alive. Several of Shaw’s fellow musicians said that Shaw had passed several years earlier, but no one seemed to know any details. Today, there is much more information about Shaw on the internet, and while we know that Shaw died in Santa Monica, no reason of death has been published (Shaw was in his late 40s when he passed), and the actual date of his passing is listed as August 17, 1973 on Wikipedia, and as August 1974 (no specific day) on the memorial site hosted by one of his daughters. Clarence Gene Shaw’s legacy is a slender one, adding up to just over 6 albums, but the high quality of that music makes it all the more shameful that we still don’t know very much about his life or death.